Last year LAX opened its soaring new Tom Bradley International Terminal addition. But that was just the beginning of changes at Los Angeles’ woefully-out-of-date airport. 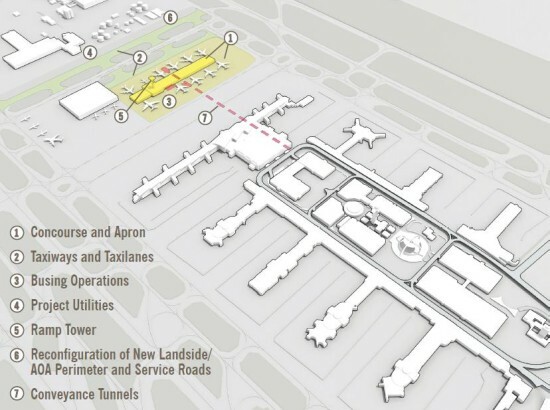 The biggest news: Last week the LA Board of Airport Commissioners awarded Turner|PCL (a joint Venture with Corgan/Gensler) a contract to design and build a $1.25 billion Midfield Satellite Concourse (MSC) North Project. The 800,000-square-foot, five-level concourse will be located about 1,300 feet west of the new Tom Bradley, containing 11 new gates spanning a length of about 1,295 feet. 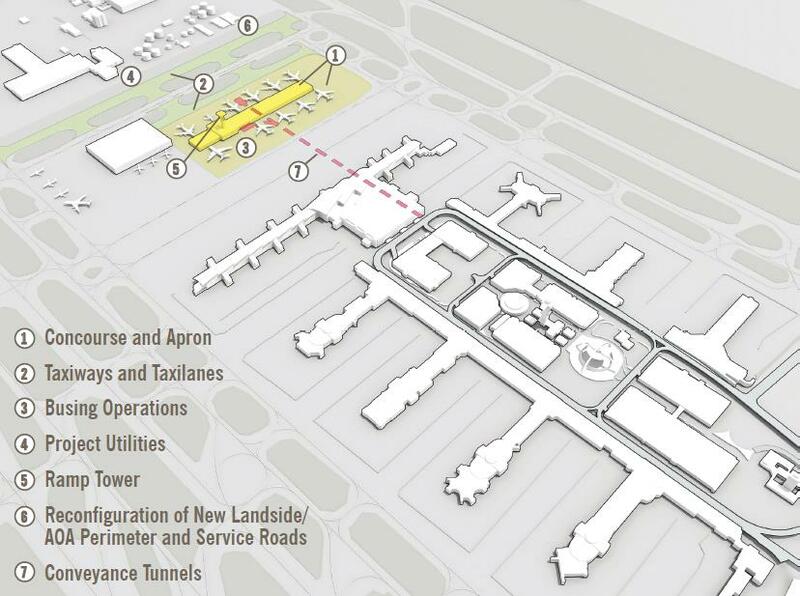 It will be connected to that terminal via an underground tunnel. As for the rest of LAX, let’s just say it’s about time. We first learned via Curbed LA about the just-passed Landside Access Modernization, which includes a new Automated People Mover (called the LAX Train), Intermodal Transportation Facilities (with links to light rail! ), and a Consolidated Rent-A-Car Center. Beyond that, the LAX Modernization Program, which began in 2006 and continues through 2019, consists of 20 projects, including renovations to most terminals, circulation improvements, curbside upgrades, and much more. It’s one of the biggest public works projects in LA’s history. Our theory is proving to be on-target: LA is going to be one heck of a place in 2020. 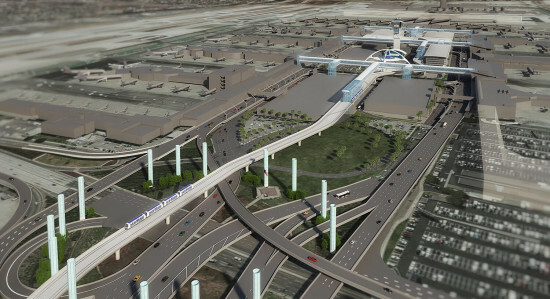 LAX (left), intermodal center (center), and car center (right). Images Courtesy LAWA.